Portions of Medicare work well as government programs go, and Bernie Sanders is right to hold it up as a reasonable approach to expanding and improving health coverage for younger Americans under 65. But Bernie is proposing to go one step further and transform Medicare into a comprehensive “single payer” system – which it is not what we have today. Todays’ Medicare is a highly complex, multi-part system with some parts administered by the Federal government and others by private insurance companies. It is financed through a combination of sources including payroll taxes, and premiums paid to the government and private insurance companies. Parts A & B (hospitalization and doctor’s visits) are the only portions of Medicare that are similar to the “single payer” approach Sanders is recommending. But even these parts of Medicare have copayment, coinsurance and deductibles and thus are not true “single payer” programs. In addition, Medicare does not cover a number of health services including vision, dental, hearing aids and long-term care. .
Other parts of Medicare include HMO programs under Medicare Advantage (Part C); Prescription drug coverage (Part D), and Medigap policies which vary but typically cover copayments and deductibles. These parts of Medicare are administered by insurance companies and funded through premiums paid by users directly to those companies. For non-covered services, such as dental and vision, users are typically on their own to purchase private insurance or pay out-of-pocket. The advantages of a “single payer” approach is that it is easier for consumers to navigate. In addition, fees (or taxes) are paid to the government, and the government purchases services directly (or through a designated agent) from health care providers. Under this approach, the government is a major player in the marketplace with the bargaining power to ensure quality of service, negotiate prices and hold down costs. Today’s systems is so fragmented that no one entity has the market power to effectively control costs. Part D, prescription drug coverage, provides a vivid illustration of how this part of the Medicare system has been structured for the benefit the drug and insurance companies, not the consumer. 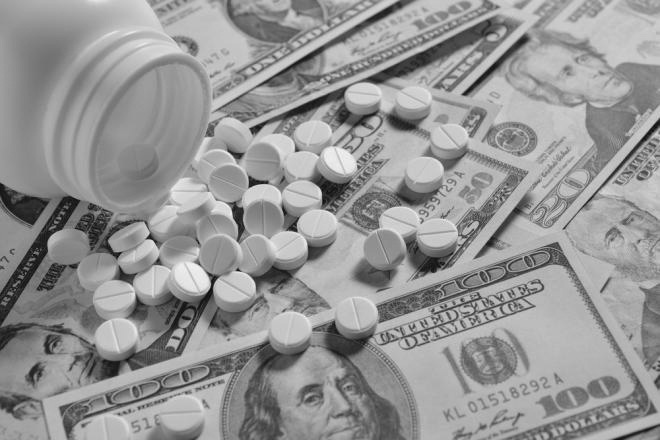 Under current Medicare rules, the government is forbidden by law from negotiating prices for drugs. Each insurance company under Part D has it own “formulary” (or list of covered drugs) and tiers (price ranges). Part D is so complex that figuring out the best plan for your particular needs is hugely difficult, limiting competition and contributing to the huge increases in drug prices we’ve seen in recent year. This is not surprising since the bill authorizing Part D of Medicare appears to have been written by the drug lobby and came to the floor for vote in the middle of the night to avoid public scrutiny. To meet Medicare for All / Single Payer criteria, Parts A & B of Medicare effectively will need to be expanded to cover all health related services, including dental and vision. Copayments, deductibles and coinsurance will need to be eliminated. Similar approaches are used in other developed countries including Canada and Taiwan. Meanwhile, research shows that many developed countries with near universal coverage and government run and / or insured services have much lower costs and better outcomes than the U.S.
To those who argue that the government should not be in the health care business, it is important to note that under a Medicare for All, Single Payer approach, the government is not providing services directly; it is using its economic clout to “purchase” services through the private sector at reasonable cost on behalf of the American people. Given that the costs of health care and prescription drugs are sky high in this country, maybe it is time to reform the existing system by taking the insurance companies out of the middle between the government and service providers. Similar to the way Parts A & B work today, the government (or its agent) should negotiate directly with providers on costs for all health services including dental, vision, mental health and prescription drugs. That should help control costs and, if done right, substantially improve the system’s overall efficiency and service quality – all of which will be good for consumers, business and the U.S. economy.